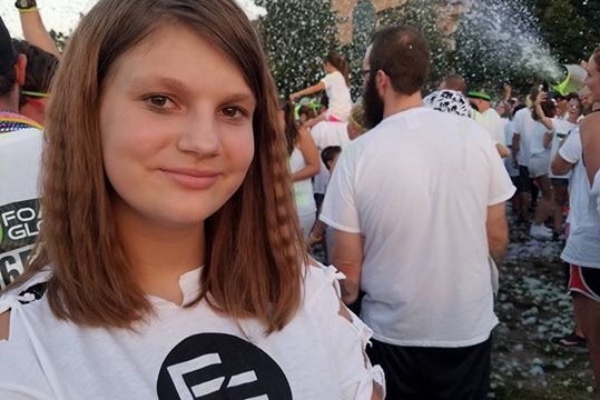 14-year-old Sarah Hardy was struck by a truck when crossing highway 89 Sunday, October 15th. She was taken by ambulance to a hospital in Ogden and life flighted to a Salt Lake area hospital where she is in critical condition and fighting for her life. At this time, her parents are by her side at the hospital and unable to work as their household bills accumulate. Let's all pull together and help relieve this burden so that they may focus on Sarah's recovery. Please keep Sarah and her family in your thoughts and prayers. Thanks again everyone i will start this update by giving some background. Oct 15, we arrived at the hospital and were immediately told Sarah was in the O.R. My heart sank as I contemplated what kind of surgery she was undergoing. Having been on the scene immediately after the accident I knew Sarah's injuries were very severe, yet i felt unprepared for the next phrase we would hear. Sarah had experienced massive brain trauma, and the hospital staff was unsure if she would survive. She was undergoing a craniotomy to remove a piece of the skull to allow her brain room to expand. 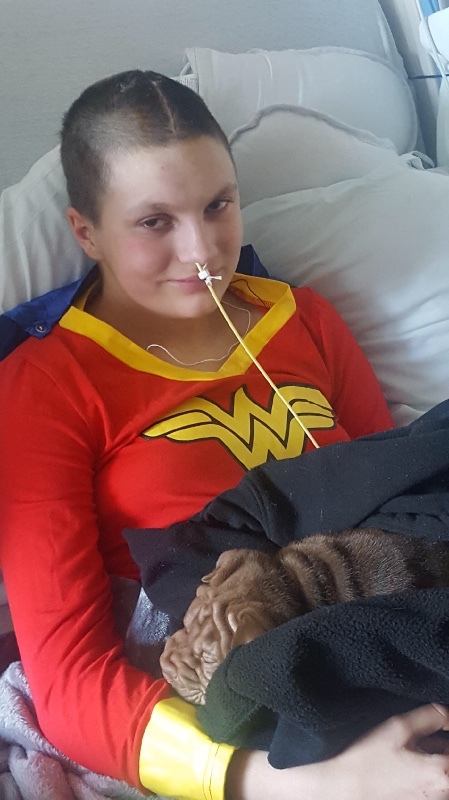 Without the rapid transport to Primary Children's and immediate surgery to relieve the pressure that was causing continued increasing injury to the brain likely sarah would not be alive today. 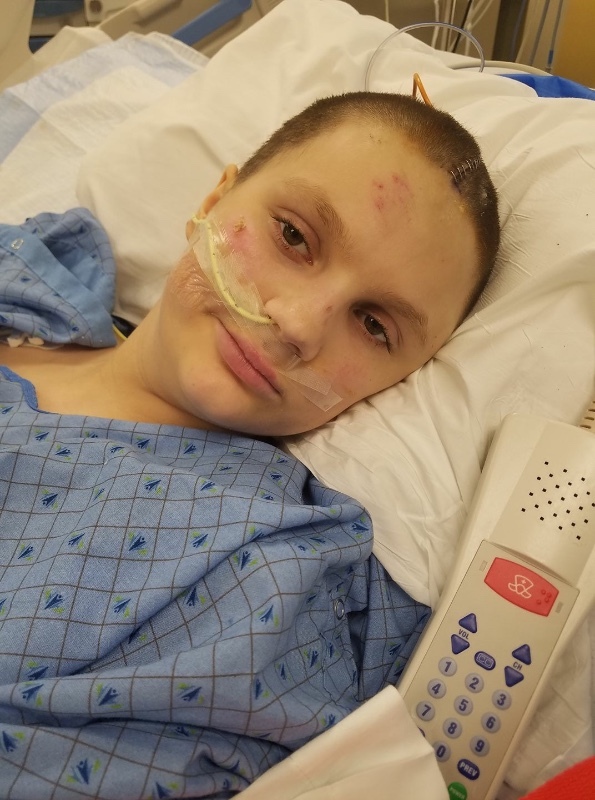 Fast forward to today, and reversing that Craniotomy is the next huge step in Sarah's road to recovery. Sarah will soon undergo an operation to reinsert the piece of skull that was removed to relieve brain pressure. Hospital staff are very meticulous at trying to mitigate one of the biggest risks of creating an opening to the brain: Infection. As soon as the surgeons are certain that she does not have infection on her brain they will perform that operation. Likely within a week or two. Sarah's brain injury is by far the most difficult, and debilitating of all her injuries. It is very difficult to know the amount of healing that her brain is capable of. So far we have been pleasantly surprised at her progress, yet we know she will experience many challenges related to this “Severe Traumatic Brain Injury” she is likely to have ongoing cognitive and memory challenges, also perhaps unforeseen challenges. The human brain is so complex and little understood. With that being said Sarah is a joy to be around. She is very quiet and more reserved than before, and at the same time is usually peaceful and thoughtful. On Occasion sarah can become agitated, when she had a feeding tube she pulled it out several times. Most impressive has been Sarah's motor skills with any luck she will leave the hospital with a walker or crutches, mostly due to the limitations of the broken femur. She is able to communicate well most of the time, even messaging her friends on occasion. She still is talking in a whisper. She is very cooperative with her rehabilitation and general prodding and poking. She is a bit sad, and misses being at home with her brothers, also she misses Lexi and is starting to comprehend more about her accident. As of today her swallowing has improved enough to eat normal food. I am very grateful to everyone that has helped out, and allowed me to spend most of my time at Sarah's side during her recovery. She loves having her dad with her, and often texts me if i have been gone from her room for more than a few minutes. So from both sarah and the rest of our family thank you very much. Sarah Hardy is off the ventilator and breathing on her own. She wrote her name fairly well. She is very sad, and sometimes slightly confused. The nurse said she has never seen anyone with such severe brain injury have this much ability this fast. Update: I was talking to Sarah she looked up ast me and smiled. Sarah just squeezed my hand, when I asked her to. Asked if she was in pain she shook her head no. Sarah's numbers are remaining stable. She did have to battle a high fever for a couple of days. Thankfully that has subsided, and we don't think it is from infection. Her spine now has been fully evaluated and they were able to remove her cervical collar (hard neck brace) today, Yay!. Friday they attempted to remove the breathing tube to see if she was able to breathe on her own. Unfortunately after about an hour it proved too difficult for her to keep up, so they reinserted the tube. Her right lung still is quite injured. she has 3 broken ribs on that side. We are hoping that in the next few days they can try to let her breathe on her own again. The good news is her brain is very capable of allowing her to breathe on her own, as long as her lungs can keep up. The brain swelling has subsided, and we are holding our breaths to see how her "severe traumatic brain injury" will affect her. Likely she will have to relearn a lot of skills, and will require full time in home care after leaving the hospital. We are watching her so closely, each beautiful little thing she is able to do is a triumph for us. She has reached up to pull out the breathing tube. Opened her eyes several times briefly, once in response to the lights going off. She has yawned a couple of times. Hoping for a great week with many more little triumphs.